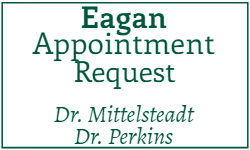 Questions About Dental Services in Eagan, Minnesota? 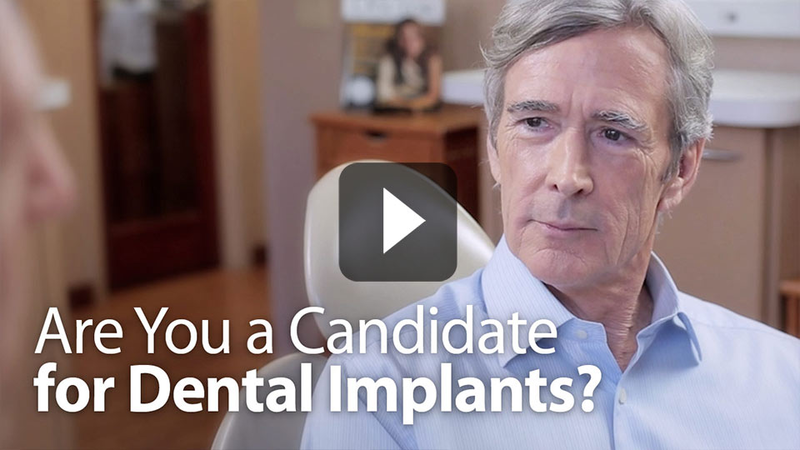 Feel free to contact Eagan Valley Dental if you have any questions, suggestions, or would like to schedule an appointment with a dentist in Eagan, Apple Valley or Burnsville. We look forward to hearing from you. Eagan: convienently located only 20 minutes from either downtown at 4555 Erin Drive, only a few blocks from either the intersection of Highway 77 (Cedar Avenue Freeway) and Cliff Road, or the intersection of 35E and Cliff Road. 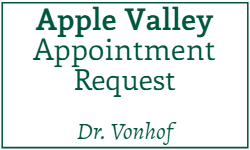 Apple Valley: located just east of Highway 77 (Cedar Avenue Freeway), at the intersection of 140th Steet and Pilot Knob Road. 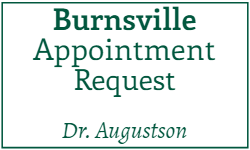 Burnsville: located 1 block south of Highway 13 and Nicollet Avenue. Burnsville/ Oak Ridge Professional Building: 35E south to County Road 42. Turn right onto County Road 42. At the first stop light, take a right onto Nicollet Avenue. Travel 2 blocks, turn right onto Nicollet Blvd. Follow Nicollet Blvd past Fairview Ridges Hospital and through the round-about. Turn into the 2nd driveway on your right. We are in the Oakridge Professional Building, Suite 202.